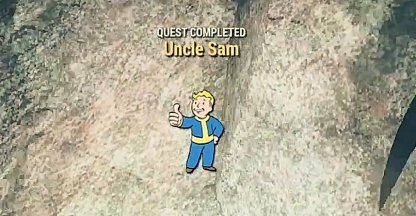 Check out this guide for a full walkthrough of the Uncle Sam Quest from Fallout 76, including gameplay tips, guides, & more. Charleston Herald is found just North of Charleston. 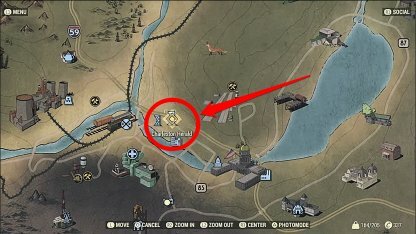 The information on Sam Blackwell can be found on the third floor, in a box of files, inside the room with the terminal. 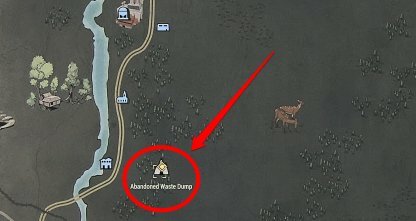 The Abandoned Waste Dump is found on the Easternmost side of the map, just a short walk East of the Southern Belle Motel. Head inside the cavern to progress the mission! 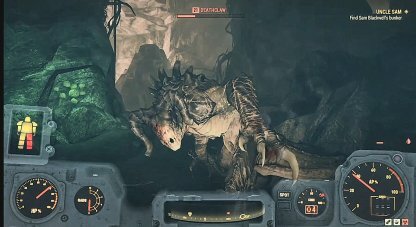 The Deathclaw that you encounter may be relatively low leveled compared to you, but it never hurts to be extra careful when fighting this beast! The Deathclaw will have a large health pool, meaning that you will need to bring with you lots of ammunition to bring it down! Alternatively, you can also choose to use a melee weapon of you are confident enough to go toe-to-toe with the Deathclaw! 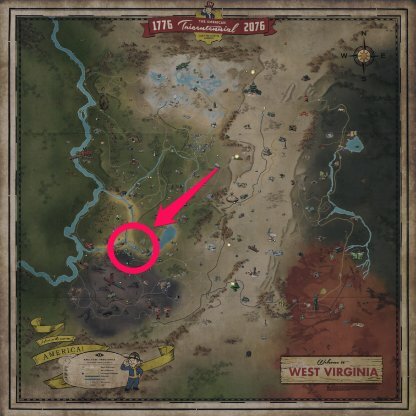 The Deathclaw in the cavern may not be as high leveled as you, but it can still hit like a truck! 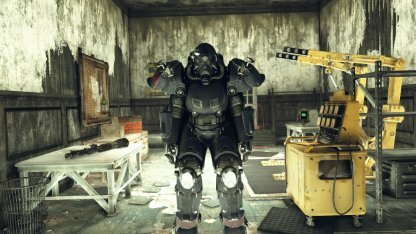 Equip yourself with Power Armor, and drink chems that will increase your resistance to prepare you for the fight! 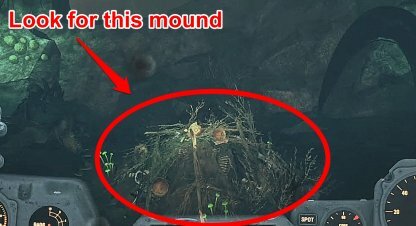 When in the cave, you will need to look for a mound with bones and leaves piled up on it. When you are here, look to the Northeast side of the mound. The small opening should be there.